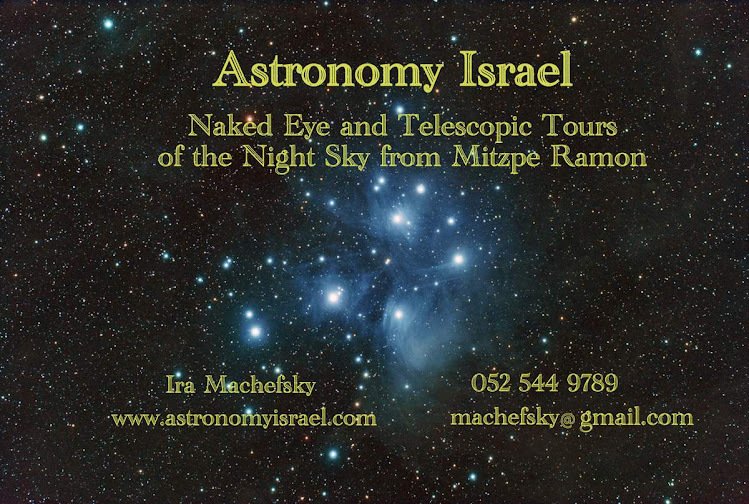 We had a star party for 90 Gerer Chasid teenage girls in Mitzpe Ramon. Well, they had their own party as I, being male, was not really allowed to participate. However, I did get to stand by my telescope as they crushed it and me to death. It was a full moon night, so we looked at the moon. All the girls wanted to see stars, but there weren't many to show because of the bright light of the moon, plus running 90 girls through a telescope line is hard to manage. It should work better when I have my video cam up and running next month.